We all know that soda isn’t good for us but giving it up can be hard. 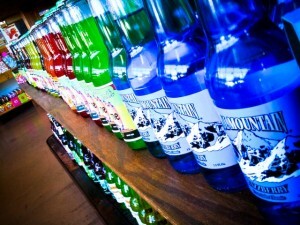 Are there any healthy alternatives to soda? You betcha! Water kefir, my favorite beverage, reminds me of cream soda with a slight tang. Personally, I prefer water kefir over kombucha. Both of these beverages are so enjoyable that I have continued to brew them while living in our RV where space is tight and everything we brought had to be “worth it”. Water kefir and kombucha made the cut. I love my water kefir over ice. Beats a chemical laden soda any day! 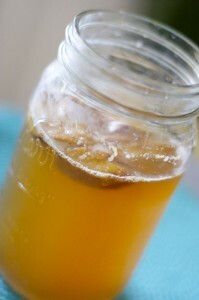 Water kefir is simply fermented sugar water. Water kefir grains or, tibicos, are a symbiotic collection of bacteria and yeast that feast on sugar in water creating a fermented beverage full of probiotics. There are numerous health claims made for water kefir everything from clearer skin to fighting cancer but very little research to back those claims up. The biggest benefit I see is that it gives your gut a healthy dose of beneficial bacteria, enzymes, vitamins, minerals and, like I said, it’s a delicious alternative to soda. Since I started drinking kombucha and water kefir my soda cravings have virtually disappeared. 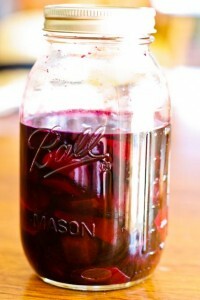 How do I make water kefir? 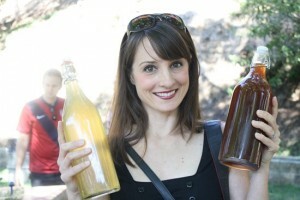 I learned to make water kefir from a friend a few years ago. It has always turned out so well that I stuck with her directions. *Reverse osmosis or distilled water is not recommended. The water should contain some natural minerals. 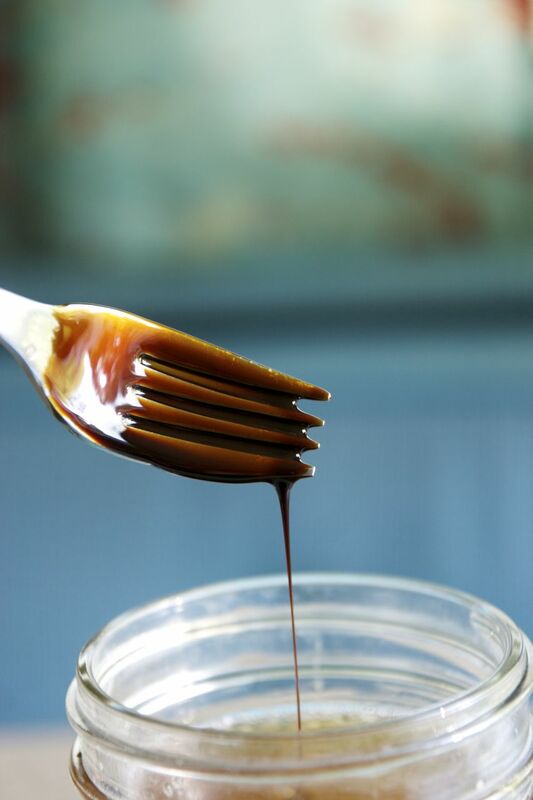 Truth be told, I gave up measuring the molasses and now just use a “fork dip” of molasses. Next, add the grains. It’s not necessary to add any of the water kefir. Cover your grains with a cloth secured by a rubberband or a loose plastic lid. If you have a metal lid (like I do) cover it with a napkin, and LOOSELY close the lid. You want the grains to get some air. Let it sit 24-48 hours at room temperature before straining the kefir and repeating the process in a new batch. I store my water kefir in the fridge in an empty bear bottle. Often I will leave it out on the counter overnight to build up carbonation before putting it in the fridge. Once I fermented it in the closed beer bottle. Bad idea. When we opened it it sprayed out so hard that it hit the ceiling. I was lucky that the bottle was strong or it might have exploded in my hands. So make sure it can “breathe”. Or if I’m brewing more than one mason jar at a time I use large bottles with pressure wire lids. I have no idea what you actually call these sort bottles but you can buy them from Ikea. However if you google around you may end up with a few questions. Do I need to use a plastic strainer? Most people will say you do. I didn’t have a plastic strainer and since I’m into minimalism, I didn’t want to go out and buy something else so I used a fine metal strainer I already owned. I should say I don’t let my grains sit in the metal strainer (but I don’t think they would be traumatized if I did). I simply strain the water kefir into a container and dump the grains into a bowl while I’m dissolving my sugar. I’ve been doing this for almost two year now and have never had a problem. How long do water grains last? My understanding is that if taken care of they will last indefinitely as they multiply. 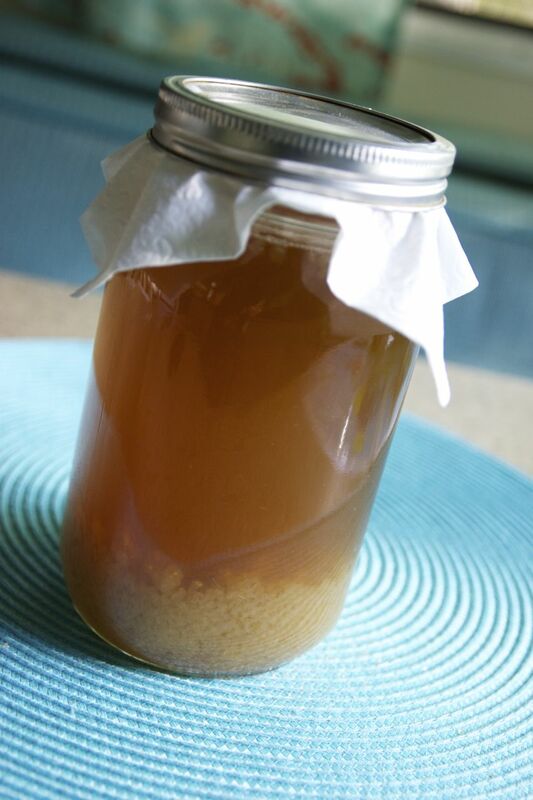 How do you “take care” of water kefir grains? I try to make sure I change the water (start a new batch) every 48 hours. However, sometimes I forget and they ferment too long running out of food. This can damage the grains. At one point, I noticed my grains weren’t multiplying so I strained them and washed them by stirring them (rather vigorously) around in filtered water. 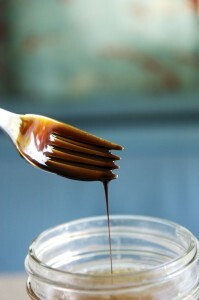 Then I put them a quart sized mason jar full of filtered water with 1/4 cup of turbinado sugar and 1/4 tsp of molasses. I let the kefir grains “rest” in the refrigerator for about a week before I rinsed them and started a new batch. Immediately, the grains started multiplying again and making delicious kefir. “Resting” your grains also works when you are going to be gone for an extended about of time. How long it takes your grains to run out of food mostly depends on heat. 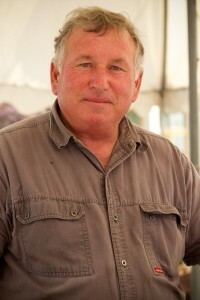 If it’s hot they will ferment faster and run out of food. What do you do with extra grains? Since healthy water kefir grains multiply you will be left with extra grains. I use those grains in smoothies, give them away, and sometimes eat a spoonful plain. I know the thought of it kinda grosses me out too but they don’t really have any taste. How do I know if my water kefir grains are “working”? You will see bubbles rising up from the grains and the kefir will have a slightly fermented taste. 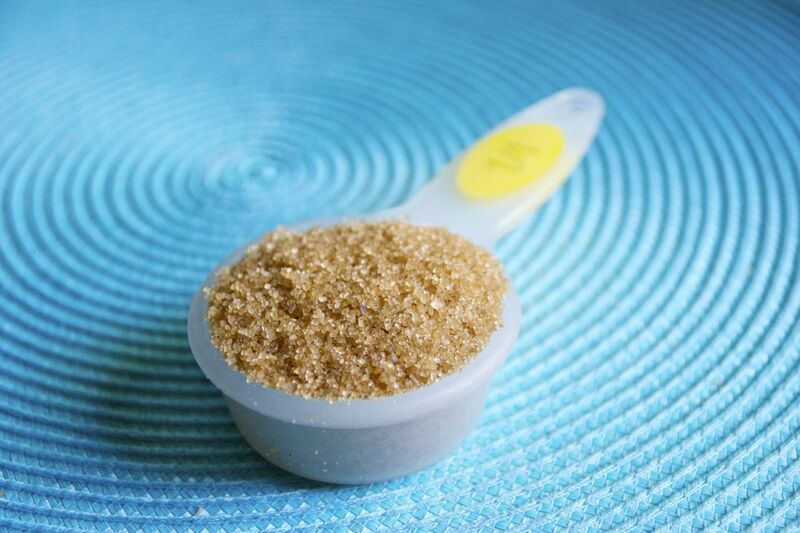 Try the sugar water mixture before adding the grains by pouring a little into a separate cup (you don’t want any contamination) and then try it again after 24-48 hours and you should taste the difference. It also changes color. Do you rinse your grains each time? No, I’m lazy so I rinse them about every other batch. Can you flavor water kefir? Yes. After the initial fermentation I sometimes remove the grains and add dried fruit. I’ll let it sit on the counter for an extra night or two. I’ve also heard you can use vanilla extract or lemon but I haven’t tried it. 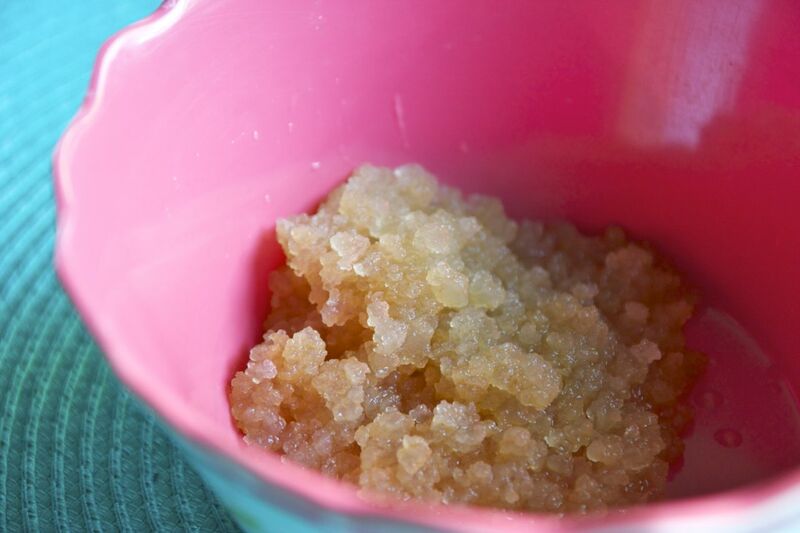 Where do I buy water kefir grains? Personally, I have never bought water kefir grains. I got mine from a friend. So my suggestion would be to start on Facebook and ask if any of your friends make water kefir. You never know what your friends might have brewing behind closed doors. I got my first kombucha scoby from someone I had no idea was into health when I posted on Facebook I was looking for one. If that doesn’t work you could always look on Craigslist. Lastly, I’ve seen them for sale on the internet but since I have never bought them online I can’t vouch for any of the website. If anyone has purchased them online feel free to share your source. I just love that picture of you. Always have. Ha ha! I <3 you!!! I looked for how many calories are in the grains but I couldn’t find any info. I suppose bacteria has calories but my guess is that it’s so little it’s negligible. I dunno! In regards to the amount of calories of the water kefir- the longer the ferment the less calories since the grains are “eating” the sugar. One source said that about 20% of the sugar remains. I love Deb’s question. So her! I had never heard of water kefir, but I’m very intrigued! I think you would like it. I only say that because it seems we have a very similar tastes in regards to food. If you don’t end up coming across some I’ll give you some grains to experiment with next time I see you when we get back to CA. Probiotics rule! i like how this recipie doesn’t require dairy for the ‘friendly bacteria” to culture. Nope no dairy required with water kefir grains as they are different from the milk kefir grains. 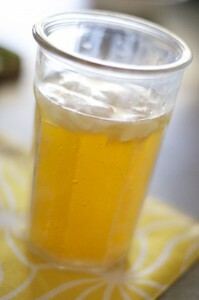 You can also make coconut water kefir with water kefir grains. Something else you may want to consider someday. Jenn, thanks for offering to perhaps bring me some grains when you get to MI! When do you think that will be? I’m debating buying from that link my friend posted, Cultures for Health… But if you’ll be here in the next month or two, I’ll just wait (and try to come meet up with you if at all possible!). We are in North Carolina now. I don’t think we will be there until later this summer so if you want to get started brewing now you should just order them. I’d love to hear how they work out for you! Sounds good! I’ll definitely keep you posted. Thanks so much, again. And let’s still try to get together when you’re here! I rehydrated my water kefir grains over the weekend and started my first batch of kefir last night! Can’t wait to try it. I used organic Trader Joe’s sugar, no molasses in this batch, but I’ll have to try that next time. I bought the wire lid bottles from Ikea to store the finished kefir in. My husband is actually interested in trying this and I’ll probably do a “cream soda” thing for him with vanilla extract. I can’t decide whether to go 24 or 48 hours. The instructions that came with my grains said that 24 will yield a sweeter kefir (which makes sense). The grains are really fat! I didn’t expect that. After I rehydrated them, they looked plumper than those in your pics. Also, I used all of them in the water kefir batch. Now that I re-read your instructions, I’m wondering if I put too many in. I’ll have to play around with that. And with trying some in a smoothie… I just noticed that you said you do that sometimes. I don’t know if anyone I know will want any (although I do plan to offer them up on FB if I have enough to do so). Do you ever end up discarding some of them? Thanks for this idea and all the great info, Jenn! I smiled and ckulhced at your blog. I’m glad you’re enjoying your kefir. It is a fun experiment isn’t it! I mostly use it for smoothies. I’m glad you got over your initial hesitation, I felt the same way. I also use it to soak grains for bread making. Soaking is another misnomer like grains . Anyway doing it, the soaking, that is, takes away the phytates in wheat which is the source of the digestive problems inherent in using wheat, apparently, from what I’ve learned. We had a B2B about this if you want more info. or check out passionatehomaking.com and search soaking grains. I’m having issues with the Kefir after I put it in the Fridge, even after just Overnight. I prepare the Kefir similar to you. Though I have Grains in 24h, Strain out Grains, Flavor with Juice and or Dried Fruit, Leave towel on New Jar for 24 Hrs. then Seal Jar on counter for another 2 days. So now I like the taste, I filter it and place in a new Jar and I pop it in the Fridge. So What tasted pretty good last night I take it out in the morning and it really seems like some other fermentation happened and tastes and smells more like a hard cider. The Longer it sits in the Fridge the more it seems alcoholic. One batch I’m sure I should not be driving… Although that’s Fun and all when I’m at home. I want to Bring the kefir to work and Drink it there. Not really the place to be getting a buzz. Ooh, thank you for this. I am planning on trying some water grains soon. I’ve had milk grains before but as I don’t really like the idea of eating dairy (but yet I find myself addicted to cheese … it’s complicated) I much prefer the idea of water kefir. To think that it could taste something like creamy soda is kinda cool … as is the no-taste of the grains. I used to occasionally eat my milk kefir grains (and I ate one of my friend’s the other day) and while they’re sour I kind of enjoyed it. But tasteless is even better. What does it taste like with dried fruit? That sounds rather cool. 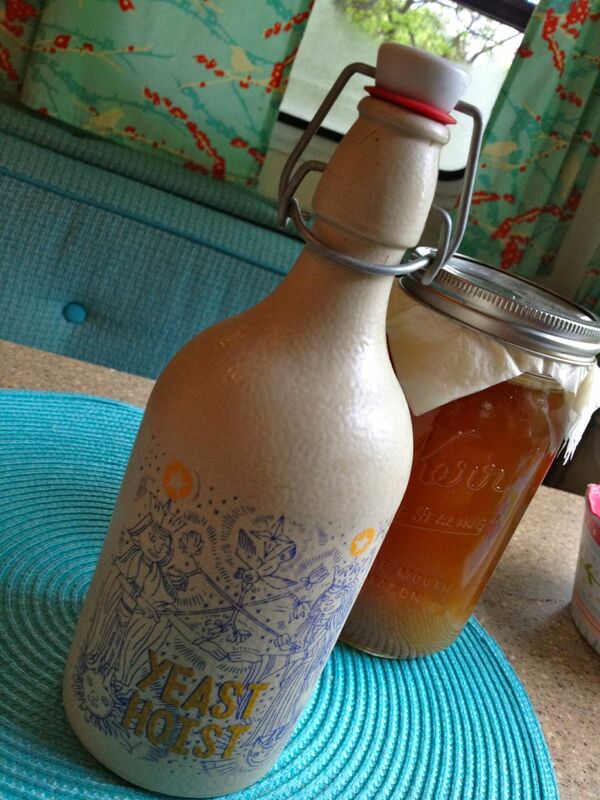 The whole vanilla extract thing sounds even better – wow, that’d get it really cream soda-ey!